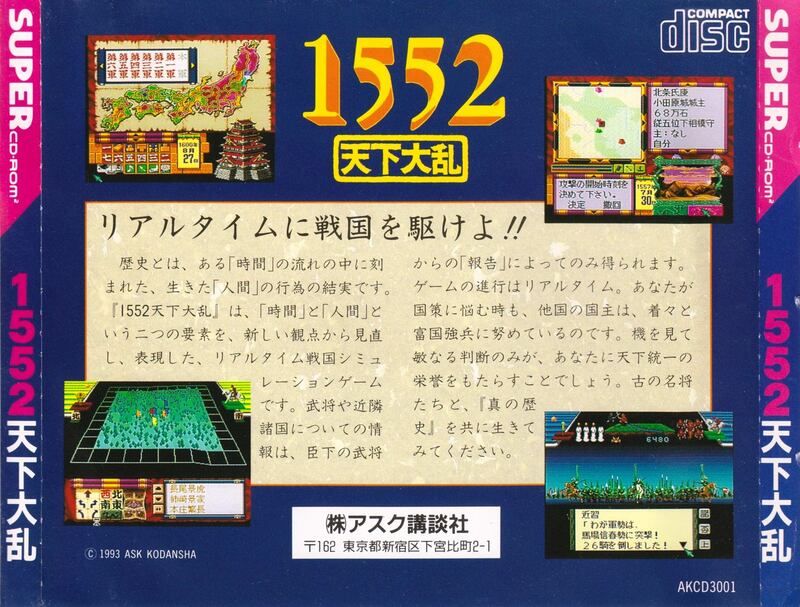 Mouse compatible strategy game set in 16th Century Japan. 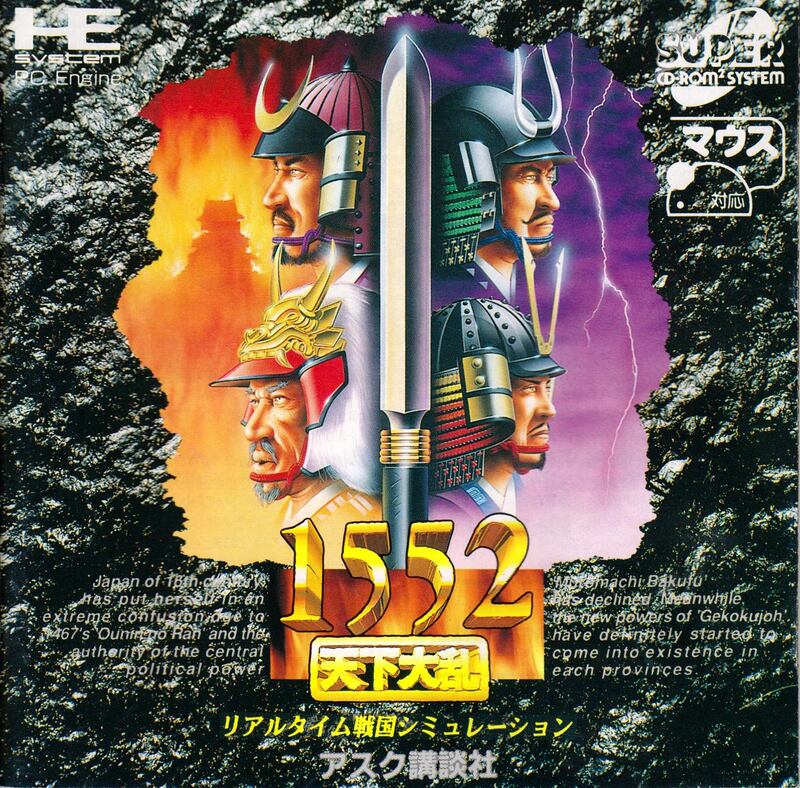 Take on the role of a Lord in several different times in Japanese history and expand your territories by managing people and armies. 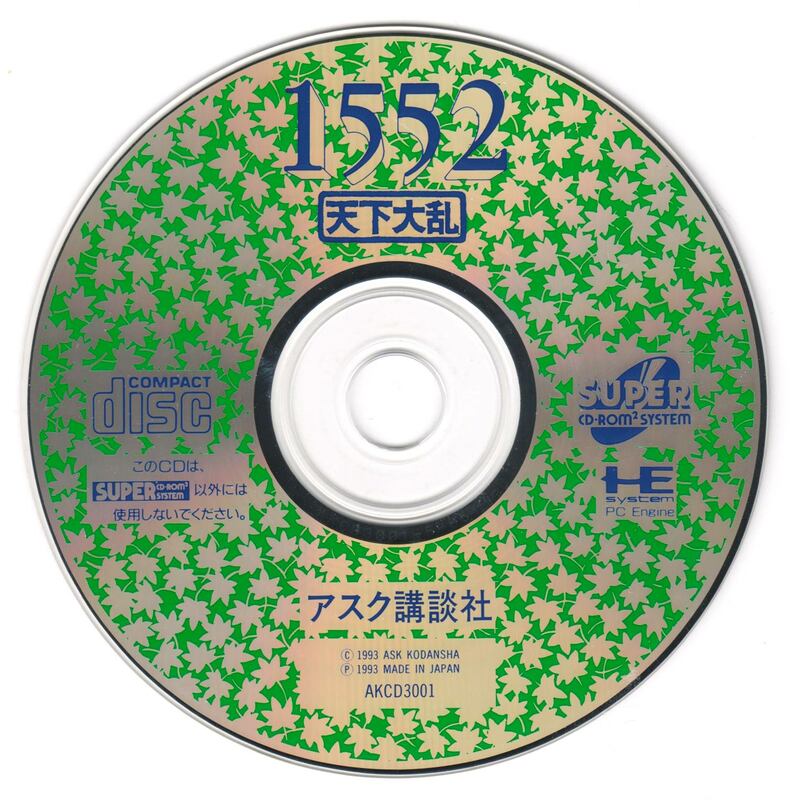 Presentation is great in 1552 Tenka Tairan. There is a classy opening sequence, funny animated history segments and even a large amount of designers' notes. Graphics are highly attractive given the nature of the game, although the small map screen could have been better, and it looks like it could be a lot of fun. I say 'could be' because the game is chock full of Kanji and fairly impenetrable if you can't understand what is going on. I'd love to have a translated version but as it stands, if you can't read the lingo then you'll have to pass this by - and for that reason the game remains unrated.